Your use of the www.Medical-Supplies-Equipment-Company.com web site is governed by the policies, terms, and conditions set forth below. Please read the following information carefully. By using this Site or submitting an order for products or services, you indicate your acceptance of, and agreement to be bound by, the terms and conditions set forth below. If you do not agree to these terms and conditions, please do not use this Site and please do not submit any orders for products or services. These terms and conditions may be changed by Medical Supplies & Equipment Company, LLC, in the future. It is your responsibility as a user to periodically return to this page to review the terms and conditions for amendments. The amended terms shall take effect automatically the day they are posted on the site. Your continued use of the www.Medical-Supplies-Equipment-Company.com Site following any amendments will constitute agreement to such amendments. © Medical Supplies & Equipment Company, LLC. All rights reserved. All content included on this site, such as text, graphics, logos, button icons, images, audio clips and software, and the compilation of this content are the property of Medical Supplies & Equipment Company, LLC or its content suppliers and protected by U.S. and international copyright laws. All software used on this site is the property of Medical Supplies & Equipment Company, LLC or its software suppliers and protected by U.S. and international copyright laws. The content and software on this site may be used as a shopping resource. Any other use, including the reproduction, modification, distribution, transmission, republication, display or performance, of the content on this site is strictly prohibited. Medical Supplies & Equipment Company, LLC and the MSEC Logo are service marks of Medical Supplies & Equipment Company, LLC in the United States and other countries. Medical Supplies & Equipment Company, LLC service marks may not be used in connection with any product or service that is not provided by Medical Supplies & Equipment Company, LLC, in any manner that is likely to cause confusion among customers, or in any manner that disparages or discredits Medical Supplies & Equipment Company, LLC. All other trademarks and registered trademarks displayed on the site are the trademarks of their respective owners, and are not intended to imply any endorsement or affiliation between Medical Supplies & Equipment Company, LLC and these companies. If you wish to license or make purchases of products or services described on Medical Supplies & Equipment Company, LLC site, you will be asked to supply certain information, including but not limited to credit card or other payment information. You agree that all information that you provide to Medical Supplies & Equipment Company, LLC will be accurate, complete and current. You agree to pay all charges incurred by authorized users of your account and credit card or other payment mechanism at the prices in effect when such charges are incurred. You will also be responsible for paying any applicable taxes, and shipping and handling charges relating to your purchases. 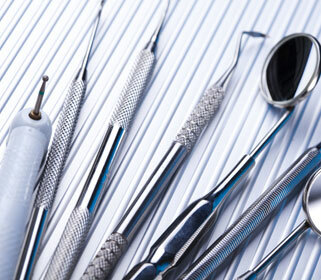 Due to the nature of the medical supplies and equipment industries, all prices are subject to change without notice. We make every effort to provide you the most accurate, up-to-the-minute information. Despite our best efforts, a small number of the items on our web site may be mis-priced. In the event a product is listed at an incorrect price due to typographical, photographic, or technical error or error in pricing information received from our suppliers, Medical Supplies & Equipment Company, LLC shall have the right to refuse or cancel any orders placed for product listed at the incorrect price. While we make every attempt to verify prices before charging your credit card, Medical Supplies & Equipment Company, LLC shall have the right to refuse or cancel any orders placed on mis-priced product whether or not the order has been confirmed and your credit card charged. If your credit card has already been charged for the purchase and your order is canceled, Medical Supplies & Equipment Company, LLC shall immediately issue a credit to your credit card account in the amount of the incorrect price. We believe that day-in, day-out, our pricing is very attractive relative to our competition. Combined with our product assortment, product availability and service level, we believe that we offer a compelling shopping experience. With that in mind, we do not "match" competitor's pricing or offer price protection. The advertisement of any product on this site does not constitute an offer to sell. Your order or your receipt of an electronic or other form of order confirmation does not signify our acceptance of your order, nor does it constitute confirmation of our offer to sell. Medical Supplies & Equipment Company, LLC reserves the right at any time after receipt of your order to accept or decline your order. Medical Supplies & Equipment Company, LLC reserves the right at any time after receipt of your order, without prior notice to you, to supply less than the quantity you ordered of any item in accordance with our order limitation policy. All orders placed must obtain pre-approval with an acceptable method of payment, as established by our credit department. We may require additional verifications or information before shipping any order. Please allow up to 72 hours for order processing for address verification. All new medical supplies and equipment offered through Medical Supplies & Equipment Company, LLC's products are guaranteed against defects for 30 days from the date of the invoice unless stated otherwise. EXCEPT AS EXPRESSLY STATED HEREIN, MEDICAL SUPPLIES & EQUIPMENT COMPANY, LLC MAKES NO REPRESENTATIONS OR WARRANTIES, EITHER EXPRESS OR IMPLIED, OF ANY KIND WITH RESPECT TO PRODUCTS SOLD ON THE MEDICAL SUPPLIES & EQUIPMENT COMPANY, LLC SITE. EXCEPT AS EXPRESSLY STATED HEREIN, MEDICAL SUPPLIES & EQUIPMENT COMPANY, LLC EXPRESSLY DISCLAIMS ALL WARRANTIES, EXPRESS OR IMPLIED, OF ANY KIND WITH RESPECT TO PRODUCTS SOLD ON THIS SITE, INCLUDING BUT NOT LIMITED TO, MERCHANTABILITY AND FITNESS FOR A PARTICULAR PURPOSE. YOU AGREE THAT THE SOLE AND EXCLUSIVE MAXIMUM LIABILITY TO MEDICAL SUPPLIES & EQUIPMENT COMPANY, LLC ARISING FROM ANY PRODUCT SOLD ON THE MEDICAL SUPPLIES & EQUIPMENT COMPANY, LLC SITE SHALL BE THE PRICE OF THE PRODUCT ORDERED. 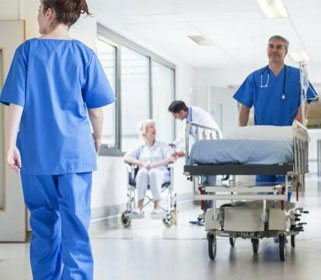 IN NO EVENT SHALL MEDICAL SUPPLIES & EQUIPMENT COMPANY, LLC, ITS DIRECTORS, OFFICERS, EMPLOYEES AND REPRESENTATIVES BE LIABLE FOR SPECIAL, INDIRECT, CONSEQUENTIAL, OR PUNITIVE DAMAGES RELATED TO PRODUCT SOLD. THE MEDICAL SUPPLIES & EQUIPMENT COMPANY, LLC WEB SITE AND THE MATERIALS THEREIN ARE PROVIDED "AS IS". MEDICAL SUPPLIES & EQUIPMENT COMPANY, LLC MAKES NO REPRESENTATIONS OR WARRANTIES, EITHER EXPRESS OR IMPLIED, OF ANY KIND WITH RESPECT TO THE MEDICAL SUPPLIES & EQUIPMENT COMPANY, LLC SITE, ITS OPERATION, CONTENTS, INFORMATION, MATERIALS OR YEAR 2000 COMPLIANCE. 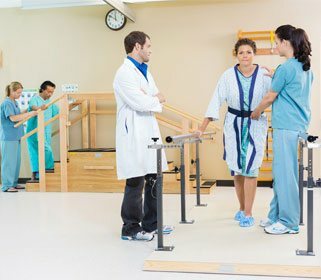 MEDICAL SUPPLIES & EQUIPMENT COMPANY, LLC EXPRESSLY DISCLAIMS ALL WARRANTIES, EXPRESS OR IMPLIED, OF ANY KIND WITH RESPECT TO THE SITE OR ITS USE, INCLUDING BUT NOT LIMITED TO MERCHANTABILITY AND FITNESS FOR A PARTICULAR PURPOSE. 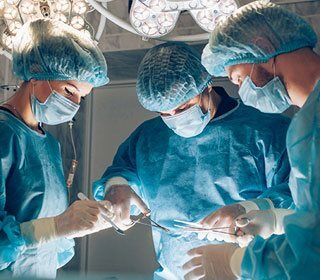 YOU AGREE THAT MEDICAL SUPPLIES & EQUIPMENT COMPANY, LLC, ITS DIRECTORS, OFFICERS, EMPLOYEES OR OTHER REPRESENTATIVES SHALL NOT BE LIABLE FOR DAMAGES ARISING FROM THE OPERATION, CONTENT OR USE OF THE MEDICAL SUPPLIES & EQUIPMENT COMPANY, LLC SITE. YOU AGREE THAT THIS LIMITATION OF LIABILITY IS COMPREHENSIVE AND APPLIES TO ALL DAMAGES OF ANY KIND, INCLUDING WITHOUT LIMITATION DIRECT, INDIRECT, COMPENSATORY, SPECIAL, INCIDENTAL, PUNITIVE AND CONSEQUENTIAL DAMAGES. Credit Cards - We currently accept Visa, Master Card and American Express. Credit card surcharge may be applicable for using your credit card with Medical Supplies & Equipment Company, LLC. Please be sure to provide your exact billing address and telephone number (the address and phone number your credit card bank has on file for you). Incorrect information may cause a delay in processing your order. Your credit card will be billed at the time your order is processed and is being readied for shipment. For those orders that are qualified as custom orders and which may require special upholstery, color finish, fabrication lead time, etc, your credit card may be billed in advance to ensure availability of funds. Some custom orders may take up to six (6) weeks to complete. Wire Transfers, Money Orders, Cashier's Checks, Company Checks, & Personal Checks - Medical Supplies & Equipment Company, LLC accepts money orders, cashier's checks, personal checks, and company checks only by mail, and only in U.S. Dollars. For checks, money orders or cashier's checks, please allow up to 5 working days after receipt of payment for clearance of funds before the order is processed. Wire transfer orders are processed immediately upon confirmation of receipt of funds in our bank account. Medical Supplies & Equipment Company, LLC cannot guarantee the availability of a product by the time funds clear or payment is received. We will charge a $25 fee on all returned checks. Medical Supplies & Equipment Company, LLC does not ship on weekends and holidays. Due to shipper restrictions we cannot deliver to P.O. Boxes. All Shipments are subject to stock availability. Medical Supplies & Equipment Company, LLC's shipping and handling charges are based on total weight or package size, and are calculated as determined by freight carriers servicing Medical Supplies & Equipment Company, LLC. Medical Supplies & Equipment Company, LLC does not guarantee estimated ship times included on the Medical Supplies & Equipment Company, LLC site, nor does Medical Supplies & Equipment Company, LLC guarantee any claims made by any carrier. Medical Supplies & Equipment Company, LLC shall automatically charge and withhold the applicable sales tax for orders to be delivered to addresses within Texas, unless the customer is tax exempt and provides the required tax exempt information to Medical Supplies & Equipment Company, LLC before ordering. Each customer shall be solely responsible for all sales taxes, or other taxes, on orders shipped to any other state. Medical Supplies & Equipment Company, LLC has designed its online store to give you options concerning the privacy of your credit card information, name, address, e-mail and any other information you provide us. 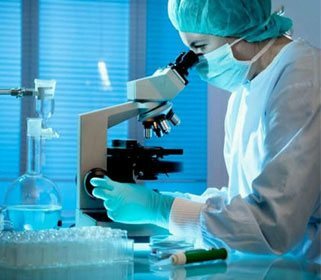 Medical Supplies & Equipment Company, LLC is committed to data security with respect to information collected on our site. In addition to the industry standard security measures available through your browser called SSL encryption, we have made a practice to call customers in the event of potential problem with your purchase. Also, you may always contact a sales representative over the telephone in case you don't want to provide your credit card information online at 1-877-706-4480. To register an alternative address (not the same as billing - for example your office or relative's place of residence), call the toll-free number on the back of your credit cart for further assistance. 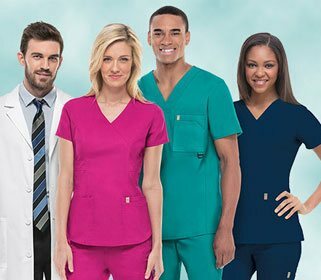 When you shop at www.medical-supplies-equipment-company.com, we collect transactional information, or Personally Identifiable Information, from you such as your name, telephone number, e-mail address, billing address, shipping address, credit card or other payment information and a password. Medical Supplies & Equipment Company, LLC does not sell or rent your transactional information to others. Medical Supplies & Equipment Company, LLC uses customer information only for the purposes of filling orders, contacting purchasers to inform them of their order status, sending promotional information, and enhancing the user experience. Medical Supplies & Equipment Company, LLC will occasionally offer special contests and promotions. When you enter a contest or other promotion, we may ask you for contact information such as your name, address and e-mail address in order to administer the contest, to send you promotional e-mails, notify winners and make the winners' list publicly available pursuant to certain states' laws. Your consent to such promotional use and disclosure of this information is a condition of your participation. 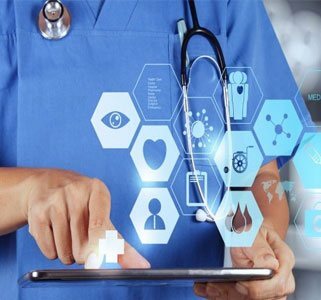 At Medical Supplies & Equipment Company, LLC you can be assured that your transactional information is secure, consistent with current industry standard SSL encryption technology. The importance of security for all transactional information associated with our customers is of utmost concern to us. Our secure servers protect the information using state of the art firewall technology. All customer transactional account information is kept on a secure server. Medical Supplies & Equipment Company, LLC guarantees that every transaction that you make with us through our web site will be safe. In the event of unauthorized use of your credit card, you must notify your credit card provider in accordance with its reporting rules and procedures. Once the order is processed, we do not retain your credit card information. If you have set up a password protected account with Medical Supplies & Equipment Company, LLC, please do not disclose this password to anyone. Also, remember to close your browser window when your transaction is complete as this will keep your account safe if you use your computer in a public place like an office or library. Medical Supplies & Equipment Company, LLC can not be held responsible if you disclose your account password to other individuals.